Thousands practice Wicca and other forms of neopaganism. Sanders, an investigative reporter, decided to find out why. Her journeys took her from Halloween rituals in Salem to anti-globalization protests in New York. She uncovered seekers awed by creation's wonders and the life-giving energy of women. 256 pages, softcover. Shaw Books. 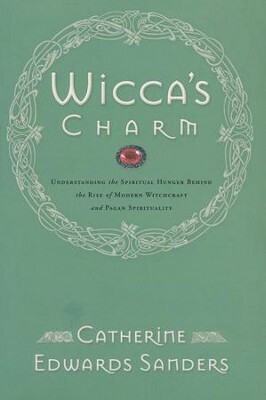 Hundreds of thousands of people practice Wicca and other forms of modern Pagan spirituality in America today, and journalist Catherine Edwards Sanders wanted to understand why such belief systems are rapidly attracting followers. When a routine magazine assignment led her to realize that her stereotype of Wiccans as eccentric spiritual outsiders was embarrassingly misinformed, her curiosity compelled her to understand the Wiccan mystique. With the support of a journalism fellowship, Sanders spent a year interviewing neo-Pagans and witches and found that the lure of this emerging spirituality was not the occult, but rather a search for meaning in an increasingly fragmented and materialistic culture. 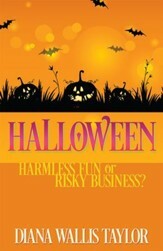 With keen observation, challenging insight, and compassionate critique, Sanders produces a lively narrative about what she experienced and discovered during her travels: Halloween rituals in Salem, anti-globalization protests in New York, and the contrasts between what seekers find in neo-Paganism that they perceive as lacking in Christian tradition. 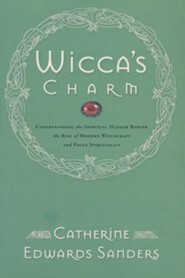 In "Wicca's Charm, " Sanders explains the powerful attraction of an increasingly mainstream spirituality that celebrates the wonder of creation and the life-giving energy of women while also exploring why Christian churches often fail to engage these seekers, but how they can learn to tap into the deep roots of Christianity to nourish the hunger of so many who seek a holistic and authentic worship experience. 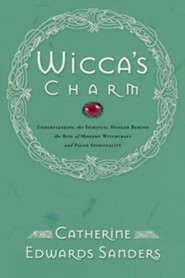 I'm the author/artist and I want to review Wicca's Charm: Understanding the Spiritual Hunger Behind the Rise of Modern Witchcraft.